For Cinco de Mayo eat fresh salsa with baked chips, instead of guacamole with fried chips. 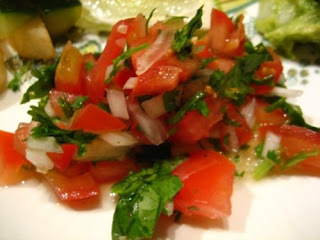 Fresh salsa is only 40 calories with 0g fat for a 1/2 cup serving. Guacamole is 184 calories with 16g fat per 1/2 cup serving! Lose weight for summer now without starving. Order my SOUPer Slim Diet ebook. Click here.